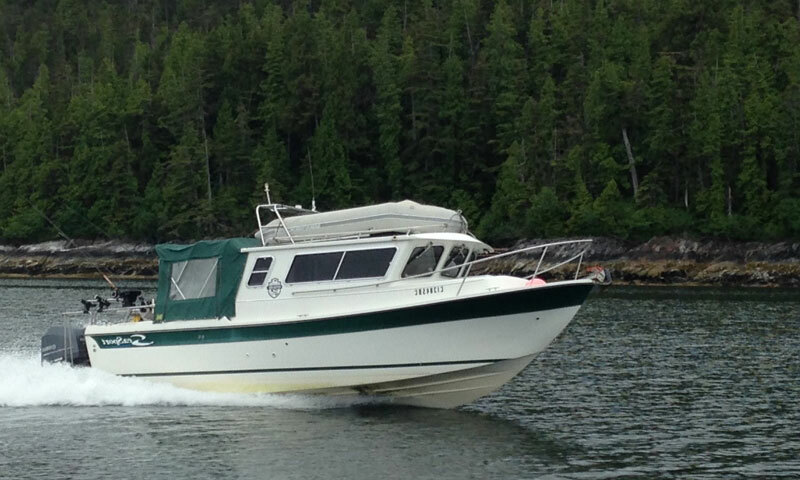 The Kitimat, Nass and Skeena river watersheds along with the Douglas Channel and the outer coastal remote shores provides guests with the most diverse sport-fishing adventures for steelhead, salmon, and halibut on the North Coast of British Columbia. 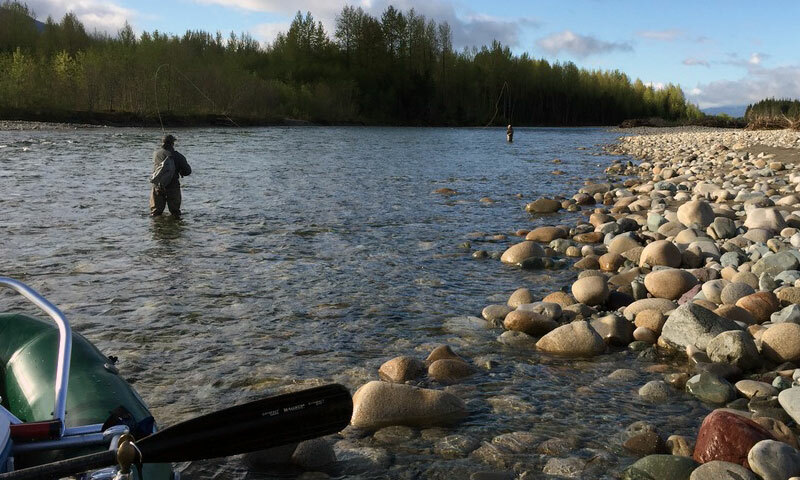 It is here where the fishing grounds are abundant with migration routes of incredible maturing pacific salmon and beautiful steelhead returning to their natal streams. This regions numerous large rivers systems and hundreds of smaller streams providing spawning grounds for these majestic fish it is no wonder why our catch numbers are consistently exceptional! The diverse terrain along this coastal region offers the best in hooking up with Big Halibut! Our ocean charters reputation for putting guests into large pacific halibut for over 2 decades has been our specialty! We know these waters well and have dropped a line in almost every flat and hump you can imagine! Discover the north coast with our most popular river and ocean fishing package combo or choose one that suites your groups fishing vacay preferences! Your range of fishing techniques and styles are plentiful with our diversely skilled river guides & charter captains. Our adventure fishing excursions are the ideal place to engage and build memorable relationships both personally and professionally with your family, friends and colleagues. 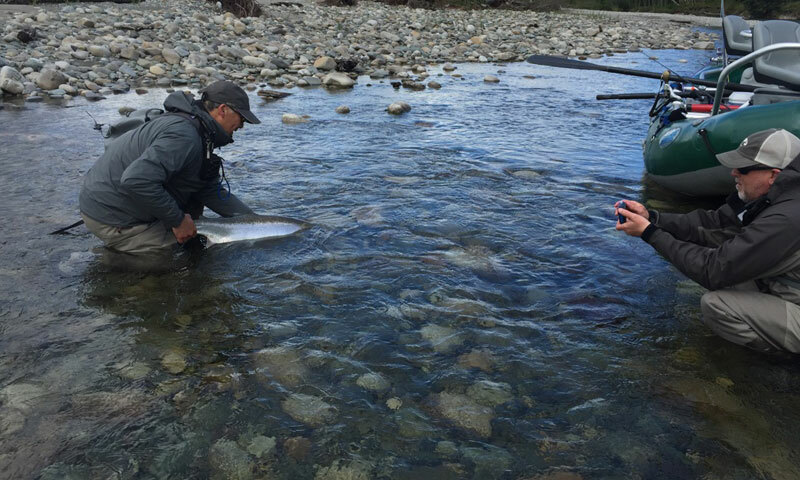 The popular multi-day river fly-fishing or gear fishing for steelhead and salmon excursions as well as our big halibut, pacific salmon, rockfish, crabbin & prawnin ocean adventures have exceeded our guest expectations for more than two decades! Success on the water comes with pursuit of excellence! To catch big fish you need to be prepared with the best in west coast fishing boats, top quality rods, reels, gear and flies as well as extremely knowledgeable guides to put you on to the fish. 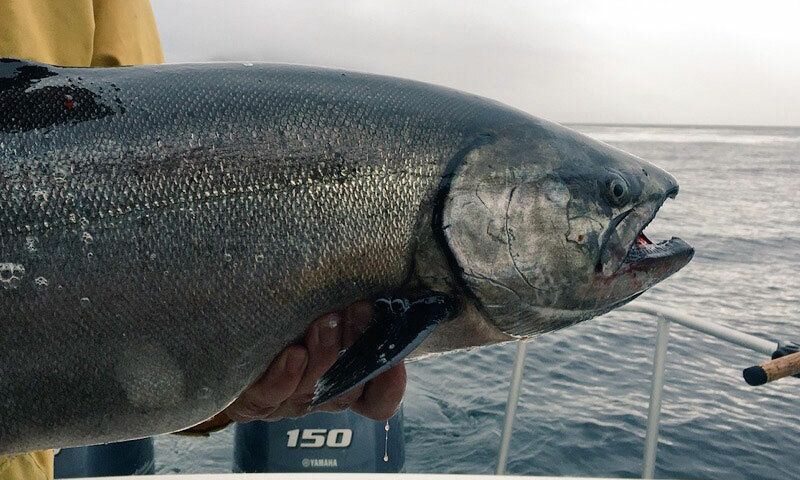 Having local knowledge of the waters and years of fishing experience perfecting the top techniques applied to west-coast angling is our standard. We are not a third party booking company, we take great pride in becoming your friends, guides and captains dedicated to you our guests! We treat each new day as a new adventure with the excitement as it was our first! When you fish with us, we share our knowledge, experiences and let you fish like a pro! Reel Action - Get Hooked Up Today!! Welcome to the new Nautical West Sport Fishing website! This year we are offering some great new adventures and continue with the ones our guests love the most! Be sure to checkout the in-season specials, video blogs and photo highlights we will post on our Facebook page regularly throughout the season! For two decades our unique fishing packages have rewarded our guests with unforgettable fishing adventures! Designed to meet your preferences and budgets so you can experience the most remarkable fishing opportunities this region offers. Fully guided, single & double-hand fly & conventional gear fishing for pacific west coast steelhead and salmon! SET THE HOOK, LET IT RUN! This north coast region of BC is one best kept secrets when it comes to incredible sport fishing for all five species of Pacific Salmon, giant Halibut, Pacific Cod (Grey Cod), Rockfish, Sea Bass, Lingcod, Dungeness Crab and deep water Prawns. We're Shakin Off The Cold! 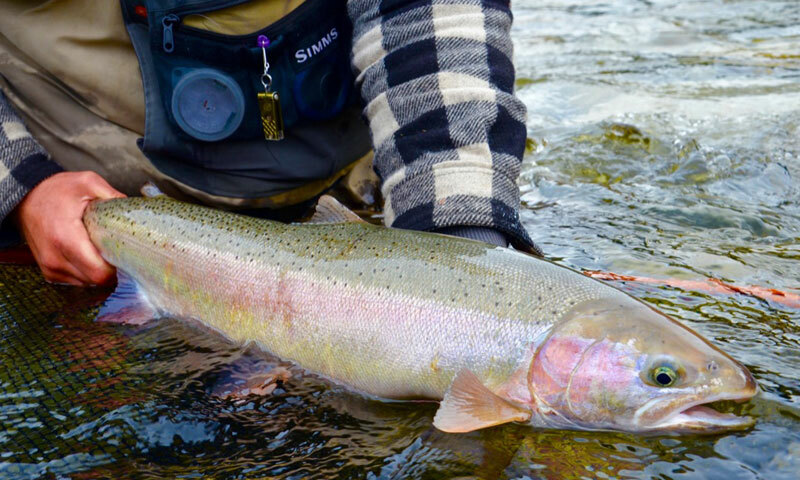 Well spring is just about upon us and time for fresh runs of northern BC Chromers! Once again it's time to get the gear ready if you have not done so already? Freshly made flies that you've been tying all winter are just itchin to get out there! We're busy now doing our scout runs and shapin up the pocket waters getting our boots wet! Not to mention some damn cold feet once in a while! Be sure to check out our remaining dates available this season for 2 persons - 4 day package! DISCOVER WHERE YOU LIKE TO FISH! 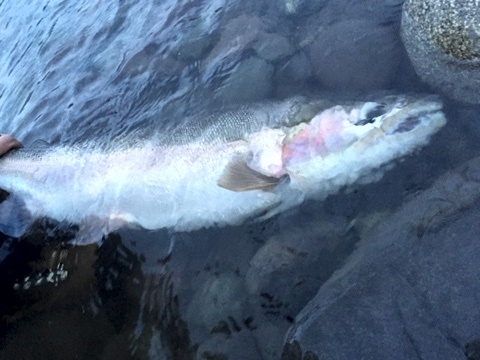 World Re-known for Big Halibut, Exceptional Runs of Pacific Salmon & Majestic Steelhead. We are dedicated to your success! Testament to the decades we have spent on the waters; endless days researching prime locations and key hotspots, experiencing all types of weather patterns and water conditions and knowing when a where to get hooked up. We have gathered knowledge on how each area fishes, testing various flies & gear and most important, listening to our guests in what they are looking for in a great fishing adventure! 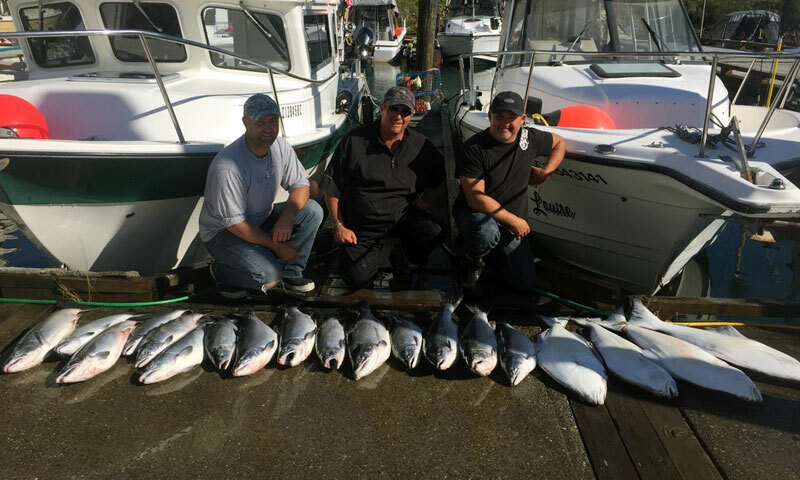 Kyle Alton, Larry Wesolowsky, Todd Haynes & staff are your seasoned professional guides & captains with decades of local knowledge, west coast experience and the highest sport fishing standards passed onto you our guests! Are you ready to experience your wild west coast fishing adventure?